"Fantastic experience. Great people, great connections, great food, great show!!" Are you looking for a little more attention for your lab products? Strong visual aids and great graphics can dramatically impact the outcome while exhibiting at an event. 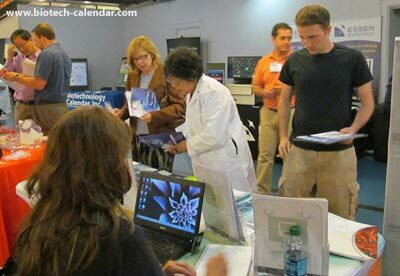 The image below is from one of our Biotechnology Vendor Showcase™ events, presents a great example of how using strong visuals can draw researchers to an exhibit space. Notice the eyes on the poster are positioned at approximate eye level to the viewer. In addition to this, the company builds on the trust theme with the over-head title. Knowing your audience always helps. Take a moment to think about who might stop to look twice at a young child's face... What would make your target audience stop in their tracks? 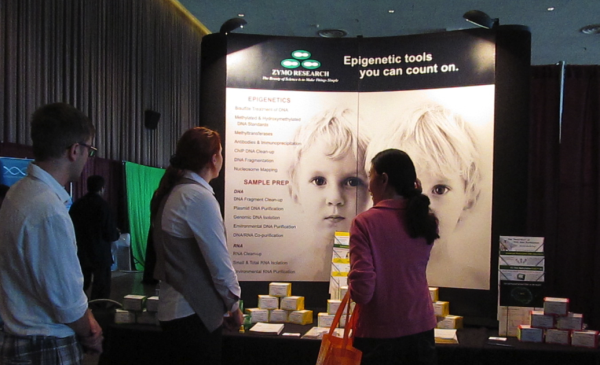 Will Life Science Research Benefit from Court Rulings against Human Gene Patents? Last year in a blog of ours on the future of genome sequencing we referenced a July appeals court ruling that protected Utah's Myriad Genetics' patent on two genes known to be indicators of breast cancer risk. Now, in a recent Supreme Court ruling on that same case, the previous ruling has been overturned and the case returned to the lower court for rehearing. This decision follows another important high court ruling on the patentability of genes: Mayo vs. Prometheus Labs (San Diego), which also just ruled against a company's right to hold patents on human genes, and which was quoted as a precedent in the latest Myriad judgement.